Gambling can be very addictive, there’s no denying this fact. And it matters little whether a person is gambling online, with friends, at a bricks and mortar casino, at a racetrack, down the pub or otherwise. The thrill of chasing the ultimate win can be an exhilarating experience and it’s very easy to get carried away and spend more money than you can realistically afford. You can consider yourself to be an addicted gambler if you exhibit one of more of the following signs and symptoms. There are a number of other indicators, but these are the most common. Being addicted to regular gambling and gambling online are much the same thing. But there are a number of features of internet gambling that make it more addictive and dangerous. If you’re spending time at a regular casino it’s very likely a friend or family member will notice. However, gambling online can be done without anyone else noticing. Whether it’s at home, at work or using a smartphone. It’s easy to avoid an actual casino but avoiding an online casino is much more difficult. After all, every computer with internet access has the potential for temptation. Accessing your bank account and making a deposit takes one quick click, thereby increasing the chances of impulse betting and chasing losses. This is a common trick used by online casinos to draw new players in and get them used to a certain level of success before spending real money. Odds are often inflated to favour the player when they are playing with free money. Thereby fooling players into thinking their success will be just the same. As soon as real money is involved the odds generally change. While this can be considered a benefit it is in actual fact a double edged sword. It allows bets to be placed without anyone else scrutinising how much. The interface is more immersive. Players can play and bet when drinking or taking drugs. Factors which can increase the time spend gambling and the amount being wagered. So how many people are addicted to gambling? Is it such a big problem? It’s estimated that 3% of the population struggles with pathological gambling. This is an officially recognised clinical disorder and has been one since 1980. 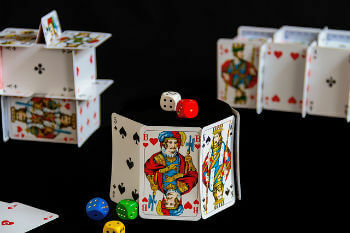 When online gambling was first introduced there were less than twenty games offered by the first website. Now, more than 30 years later, there are thousands of internet gambling websites and more joining the industry every day. Officially, there are no product safety standards and regulations for online casinos. There are regulatory bodies, who try and police the industry, but there are so many that manage to slip through the safety net. One in five online gamblers may be a pathological gambler and approximately 4% of teenagers have a gambling problem. 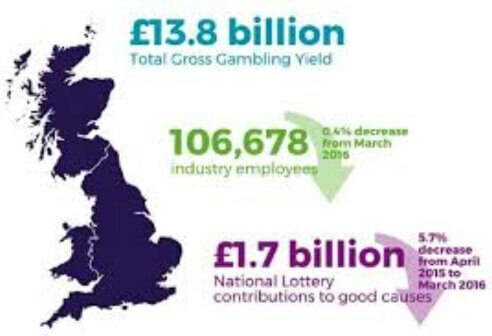 The first step, and possibly the most important, for helping anyone with a gambling addiction is for them to admit there is a problem and appreciate the damage internet gambling is causing in their life. Until a person admits to having a gambling habit there is little anyone can do. Once a person has admitted to the problem there are a number of treatment options. Self-help workbooks – ‘Freedom from Problem Gambling’ is one example of the type of gambling addiction treatment workbook that’s available. The best approach for anyone worried about problem gambling is not to partake at all. However, easier said than done, and at the end of the day gambling online can be fun and exhilarating. If you want to partake, here are a few tips to help prevent it from becoming a problem. Decide how much you can realistically afford to lose before you log on and when you’ve reached it, stop! Decide a point at which you will stop when you’re winning. For example, when you’re up 25%. Continue past this point and it’s almost certain you’ll end up losing. It’s simply a mathematical certainty. You should also set a time limit for how long your gaming session will last. An hour is a reasonable length of time. Take regular breaks. Get up and walk away from your computer. Put your tablet or smartphone down and do something different. Don’t forget the majority of casino games are games of chance. Don’t gamble if you’re depressed, stressed or feeling some other kind of negative emotion you think gambling will help you to avoid. Don’t gamble in secret as this is a very unhealthy gambling habit. Seek other forms of entertainment, explore other interests and develop other hobbies. Look on the games more as entertainment rather than a way of making money.